2016 was another great year for video streaming. All segments of the industry, from subscription video on demand to the video CDN market, continued to grow robustly. And one trend above all, increasing mobile streaming and mobile video traffic, will surely continue to change the media and entertainment industry. But let’s dig into the details. What exactly is happening? Established companies, like Walmart, started building out their own VoD platforms. At the same time numerous startups, like Afrostream and Flix Premiere, realized the potential of genre, geographic and linguistic niches. The sheer number of new OTT VoD platforms that were launched this year is unbelievable. And all of this barely starts to cover the real growth in VoD platforms. 2016 was the year that both Netflix and Amazon Prime Video went worldwide. After Netflix decided it would add 130 countries, bringing its total to 190, Amazon just had to bring its service to over 200. But international expansion aside, Amazon took its streaming service to the next level and became a real competitor this year. The service is growing in usage, ability to win original content and comes either free with Amazon Prime or as a standalone service that costs less than Netflix. But just how big are these platforms? 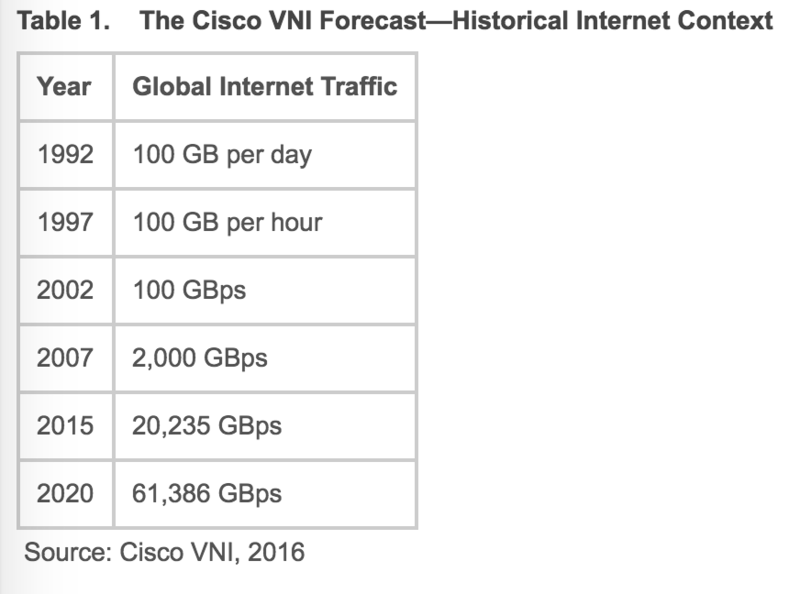 Today, Netflix, Youtube and Amazon Prime Video combined account for more than half of all peak internet bandwidth. The new platforms that popped up seemingly everyday were not only from new content licensors. Traditional media companies like BET, Time’s People and Entertainment Weekly Network and Starz all built new digital offerings. AT&T even came out with DirecTV Now, a pretty packed OTT TV offering. Traditional media brought content online in new ways too. One of the most successful examples was NBC and Buzzfeed’s partnership with Snapchat during the Rio Olympics. Yet in many ways, Facebook owns the show when traditional media comes online. Many mainstream news sources, including CNBC, flocked to Facebook Live in hopes of increasing their audience. But, Disney’s investment in BamTech, which leaves the door open for an eventual purchase, was perhaps the biggest announcement. As ESPN struggles with the great unbundling, BamTech gives Disney a path to digital dominance in sports. 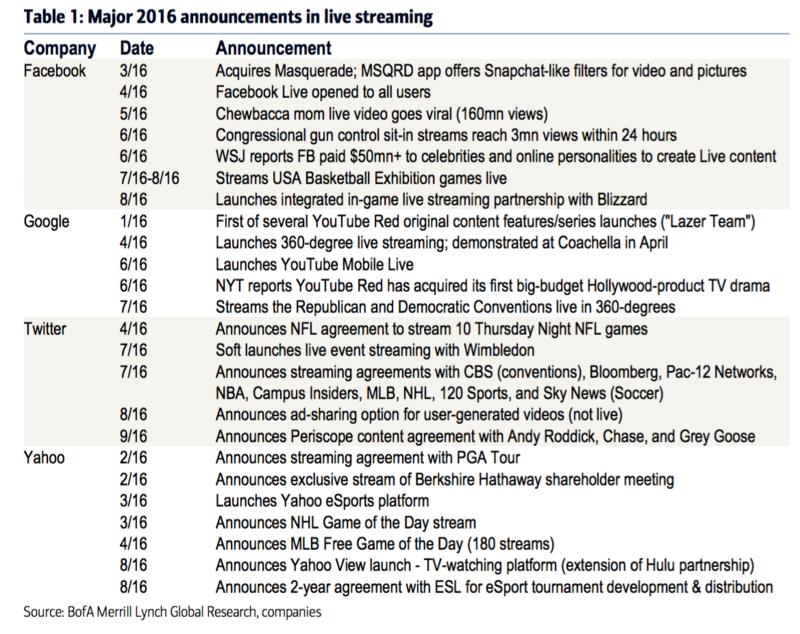 When it comes to content moving online, 2016 was the year of live streaming. Here too, established brands are making the move. Whether that’s WTA Tennis launching their own live streaming network or media conglomerate Viacom moving online, traditional media has learned that live streaming is a must. Even Berkshire Hathaway and their world famous Annual Investor Conference was live streamed for the first time this year. 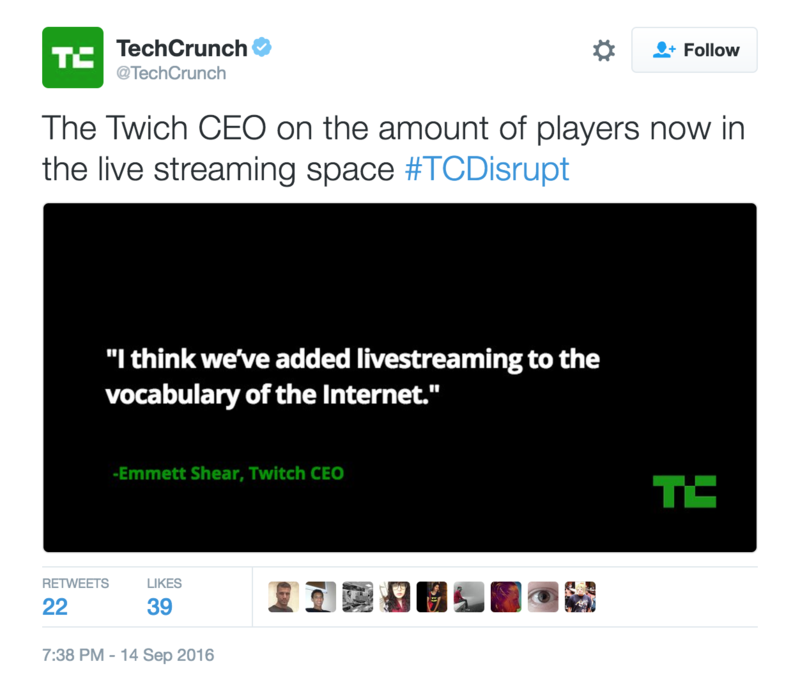 But live streaming is even disrupting younger, internet based streaming companies. That’s why Hulu is launching its own live streaming offering. Esports are also working on becoming more mainstream. Whether it’s Riot Games and their reported $200 million dollar deal with MLBAM or ESL and their deal with Yahoo Esports, trusted media networks are betting big money on the future of live streaming esports. And it’s almost unbelievable that I haven’t mentioned Twitter here yet. It seems more and more like Twitter is trying to become the ESPN of the online world. Twitter is live streaming everything under the sun these days, from sports like the NFL’s Thursday Night Football or Horse Racing’s Melbourne Cup, to news like Cheddar and Bloomberg. Twitter is seemingly betting the ranch on live streaming. And along the internationalization theme, VoD platforms weren’t the only companies that took content international. A Chinese streaming service, PPTV, acquired rights to live stream the English Premier League in China. The 3 year deal didn’t come cheap: the rights cost approximately $700 million. Icing on the cake for a year of globalization in video streaming. Most of what I’ve mentioned so far is about traditional content that’s come online (esports might not be traditional, but sports certainly are). What about new use cases? Live streaming has changed politics and activism. The media brought voters closer to the election than ever before in 2016. Campaign events were live streamed by both parties for the first time, and the virtual attendance they garnered was anything but niche. The debates reached millions online too. All-in-all, it’s fair to say that live streaming is becoming a crucial aspect along the campaign trail. And let’s not forget streaming activism. While live streaming activism didn’t start in 2016, it certainly went to the next level. As it became easier to stream, activists took to Facebook Live, among other platforms, in newsworthy situations. Even inside of courtrooms, like during Kim Dotcom’s legal battle, and on Capitol Hill, live streaming grabbed the attention of the public. These numbers, all records, show that live sports are coming online in a big way. The digitization of live sports may end up being the straw that breaks Cable TV. 2016 was another year of tremendous growth and change. Many experts predict 2017 will continue to build on these trends. Among all of this growth, there’s already one big question for 2017: will it be the year that Net Neutrality legislation changes the internet forever? Peer5 operates a serverless content delivery network (CDN) for massively–scaled video streaming, providing a TV–grade broadcasting solution for the Internet. Peer5 turns the peak demand issue into an advantage – the more users that watch, the more effective the streaming becomes. By increasing our customers’ streaming capacity by a factor of up to 100x, Peer5 ensures perfect video playback with no buffering for millions of viewers every day. Register for your own Peer5 account here.